It’s always seemed as though The Rock is generally more beloved than Vin Diesel by the culture at large, but apparently on the set of Fast and Furious, The Rock gets kicked. 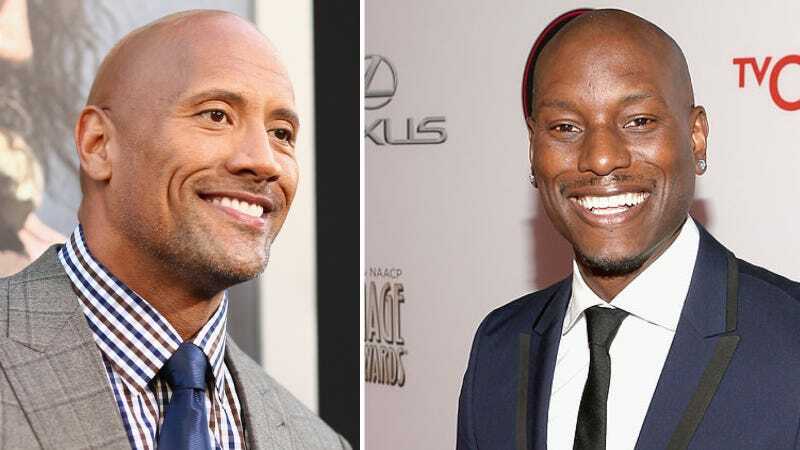 Earlier this week, The Rock insinuated with some strong language that he was frustrated with one of his co-stars on set. Though he eventually gave a vague apology, it got out that his rival is none other than grandaddy of the franchise, Vin Diesel. And he mad. I’ve always said that if ONLY people knew how hard you work to protect this franchise and characters, minds would be blown...... The fans around the world who continue to show UP for us are just all around amazing...... And if no one else will jump out there and stand up I will - You’re my brother for life let’s keep it positive and keep rockin this thing...... My proudest post. Is The Rock in everyone’s shoe? I don’t know what to think, but I am loving this feud. More, please, bald daddies.